Alphabet, Google’s parent company, on Monday reported revenue of $39.3 billion for the fourth quarter of 2018 -- up 23% compared with the year-ago quarter. Google's paid-click growth slightly rose to more than 66% year-over-year, while the cost per click (CPC) declined 29%, slightly more than the third quarter of 2018. Impressions on Google network member properties remained at 7%, but the cost per impression on these properties rose to 7%, up from 5% in the year-ago quarter. Overall, revenue from advertising rose to $31.6 billion, up from $27.2 billion, respectively. eMarketer estimates Google will take 59% of the $144.35 billion search market worldwide. Revenue from Google properties rose to 27 billion from about $22 billion in the year-ago quarter. Revenue from network members rose 12.4% to 5.6 billion, compared with a year ago. YouTube's ad revenue will grow nearly 20% this year to $11.38 billion worldwide. YouTube's share of Google's net ad revenue worldwide remains at 11%. In the U.S., YouTube leads in OTT video services, with 197 million users this year. That represents a 96.2% share of OTT video users in the U.S., according to eMarketer. Google’s "other" revenue -- about $6.48 billion -- includes money from cloud partnerships, Nest, Google Play and more. It also includes Verily and Waymo, health and driverless cars, respectively. One of the biggest challenges, it seems, that Alphabet faces is the battle to dominate cloud storage and services. Capital expenditures rose to $25 billion in 2018, mostly to keep up with Microsoft and Amazon. Alphabet reported that Google’s capital expenditures more than doubled. 3 comments about "Alphabet Earnings: Google Cost Per Click Declined 29%". Michael Hubbard from Media Two Interactive, February 5, 2019 at 10:06 a.m.
Hey Laurie - as always, appreciate your insight on the ins-and-outs of Google! Quick question - when you say the impressions are up from 5% to 7%, is that display impressions - or is that inclusive of paid search impressions? It's just interesting to note that CPC is down 29%, but overall revenue is up. Was there any hint at what they attributed the growth to? Can we just assume more efficient CTR - therefore less wasted inventory created more volume, so while CPC was down, clicks overall were still up? 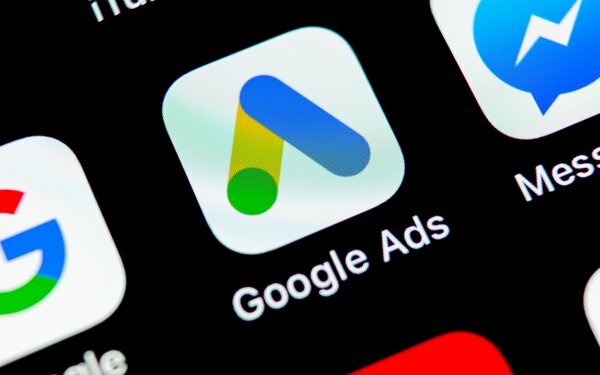 I'm just always curious if there's strategic direction, as recently there have been nothing but notices from Google about how they're going to automatically optimize your campaigns if you aren't paying attention, and I'm wondering if that's actually paying off for them? Always interested in your take - thank you. Laurie Sullivan from lauriesullivan, February 5, 2019 at 10:56 a.m.
Michael, I think the rise in impression share is display because it's in the "cost-per-impression on Google Network Members' properties" category. Craig Mcdaniel from Sweepstakes Today LLC, February 5, 2019 at 4:47 p.m.
From what I am seeing, Google Advertising has increased blocking of ads to more publishers and websites. While this is not totally on Google and the ad agencies and advertisers contribute, there are fewer of the Fortune company ads going to fewer websites. This leads to the lower quality ads going to more websites. The lower end advertiser bid much lower. For the publishers, many of their Google banner revenue is near all time lows. (my experience with Google for 15 years). At some point, with Google trying to make Wall St. numbers, their bigger problem will be keeping the publisher's happy.